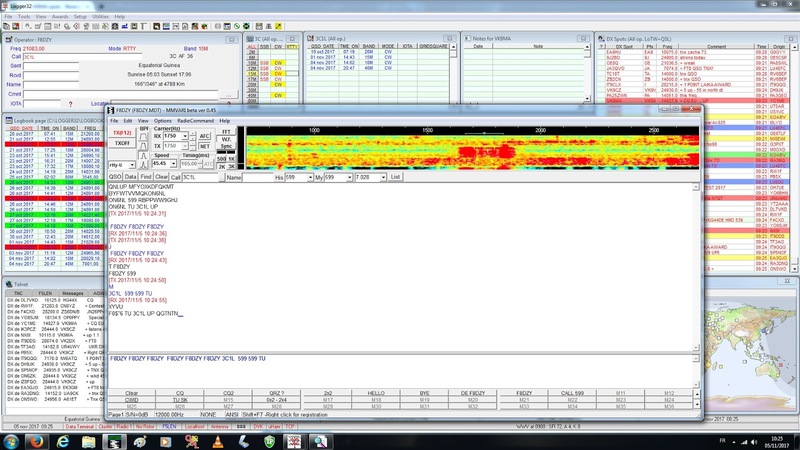 F8DZY "Ham Radio only...": 3C1L Equatorial Guinea : the chase ! 3C1L Equatorial Guinea : the chase ! Hi, I'm having big fun chasing 3C1L from Equatorial Guinea ! It started on October 20th with a 1st QSO on 20M CW for a new band, then, after Annobon return (where 4 QSOs -all new- were logged here), serious things could begin ! 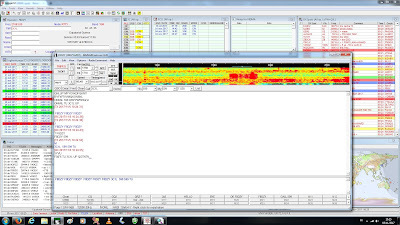 On November 1st, a 15M CW QSO, they were 599+20dB !! On November 4th, I could log them on 10M CW (new slot !) in the afternoon & on 40M CW in the evening just after they QSYed from 30M (new band !) ! ...and finally, after several days trying, I could be heard on 30M CW (new band) ! They should go QRT on November 12th, good luck to all ! 3C1L & VK9MA's chase : epilog ! B7/BD7IHN IOTA AS-094 in the mail ! VK9MA Mellish Reef IOTA OC-072 : the chase !